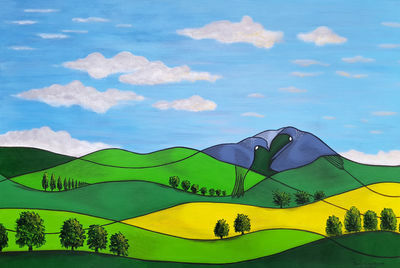 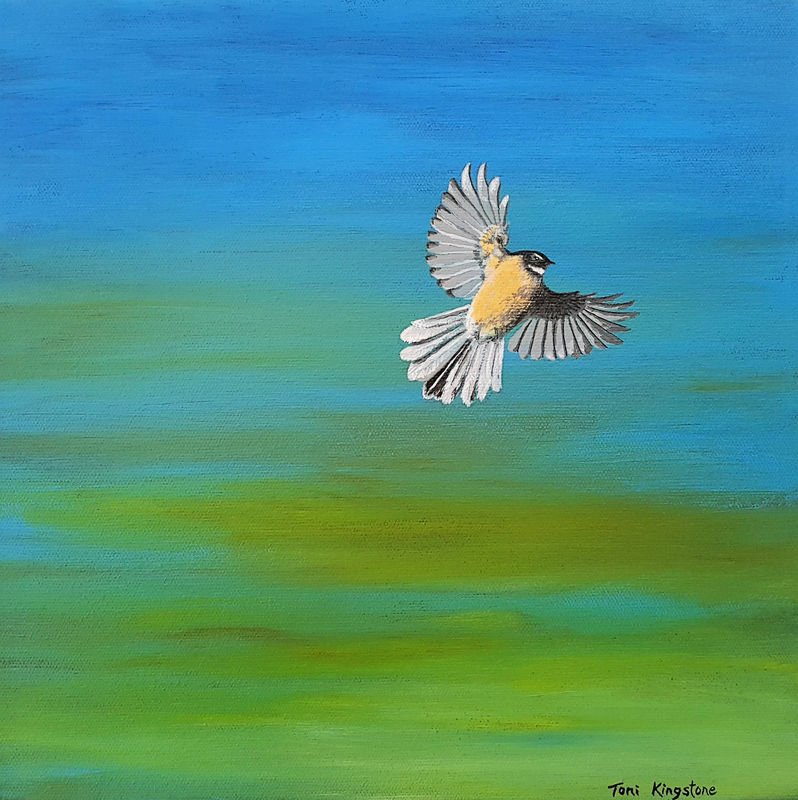 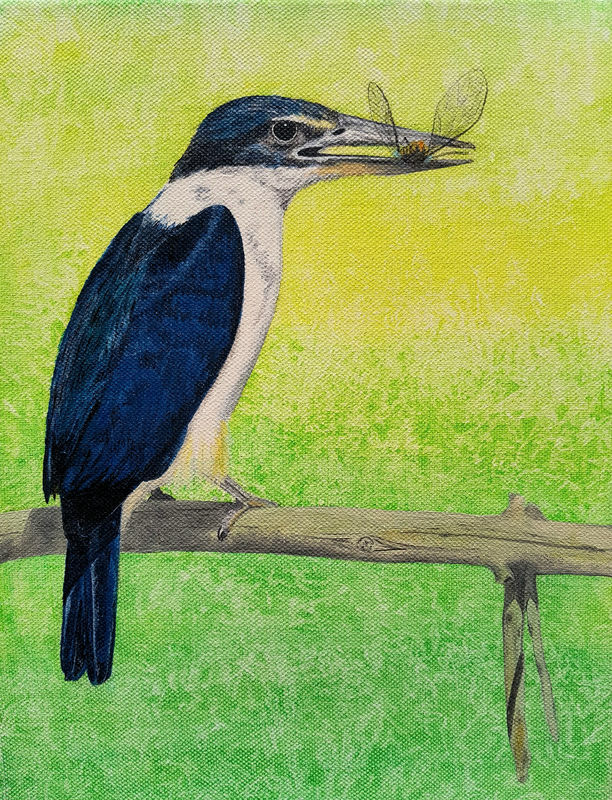 ​Toni Kingstone is a local artist whose paintings all have a New Zealand aspect, including native birds and flora and stylised, contemporary landscapes. 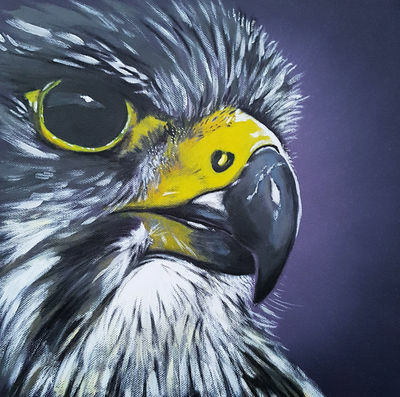 Mainly working in acrylics and charcoal, she creates peaceful artworks that combine nature’s elements showing the inter-relation of the world that we live in. 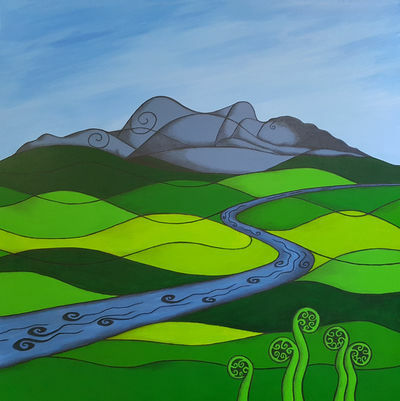 Toni enjoys the challenge of weaving images into the landscape in surprising and hidden ways, capturing the essence of our unique natural environment to provide a simple but fresh perspective of this varied land. 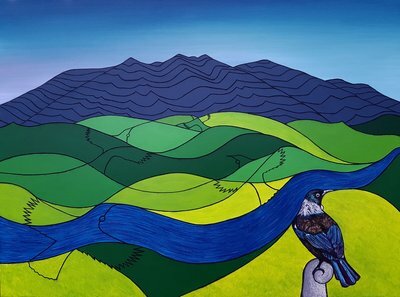 Her work can be viewed at the Village Saleyards Gallery on Franklin Street, Pirongia, where a range of Limited Edition prints are available for sale. 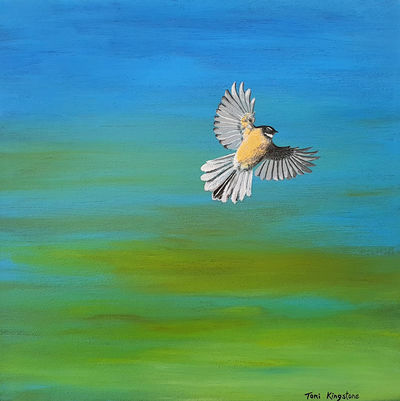 Toni’s Mangauika Road studio is open by appointment – contact toni.kingstone.artist@gmail.com or call 021 158 3626.